This is a compact yet quite extensive guide to common and rare infections found in neurosurgery patients, with information on their diagnosis and surgical and non-surgical management. 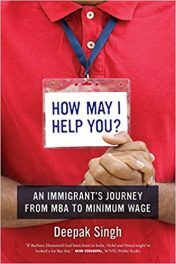 This book provides a good balance of basic information and scholarly documentation of the problems and conditions presented, including long lists of references for further and deeper study provided at the end of each chapter. The subjects covered in this book are wide ranging. Part I contains four chapters, with each one covering issues related to the immunology, microbiology, and radiology of the central nervous system, and antibiotics. In Part II, four chapters are provided, with the first three on fungal, parasitic, and viral infections respectively, and the fourth one on bacterial brain abscess. In terms of what types of infections are found within the central nervous system (CNS), Part III has five chapters, one each for epidural, intracranial, meningeal, spinal, and vertebral column infections. 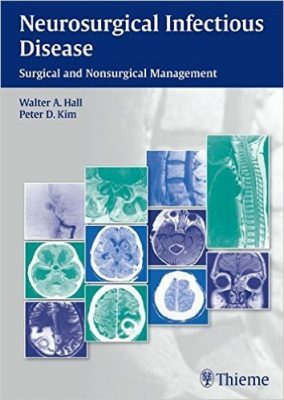 Some of the unusual types of neurosurgical issues covered in this book are in Part IV, with three chapters, one each on neurosurgical antibiotic prophylaxis, postoperative intracranial infections, and implanted devices in the CNS. Special populations of people have unique conditions, and these are discussed in three chapters in Part V, as CNS infections in children and in immunocompromised hosts, and as systemic infections in neurologic intensive care units. Gives surgeons the core knowledge they need to diagnose, treat, and prevent infectious diseases involving the central nervous system. Graphics throughout the book in the chapters are provided in the form of black-and-white and color drawings, computed tomography (CT) scans, magnetic resonance images (MRIs), micrographs, and stains, Detailed data are provided in numerous tables. Overall, this is an excellent book on infectious conditions and diseases in the central nervous system, including their accurate diagnosis, understanding, and surgical and nonsurgical treatment and management. Walter A. Hall, MD is Professor of Neurosurgery in the Department of Neurological Surgery at State University of New York (SUNY) Upstate Medical University in Syracuse, New York. Peter D. Kim, MD is a neurosurgeon in the Department of Neurosurgery at Gillette Children’s Specialty Healthcare in St. Paul Minnesota.